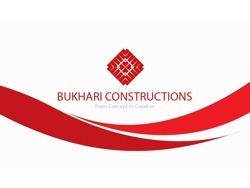 The Bukhari constructions company is looking for digital marketing intern. We look for perfection and use the latest tools and technologies in a challenging business environments. Be familiar with the roots of several social media networking platforms, like Facebook, LinkedIn, Pinterest, Twitter, Google+, YouTube, Instagram and blogging websites. Possess the active mind to observe all the latest trends in social media marketing and strategies. Be an expert in market research. Know how to build and nurture online audiences. Stay up-to-date with industry developments. Have an interest in marketing along with excellent communication skills (oral and written) and attention to detail. Note: This is a paid internship (Stipend Range: 5K to 10K) leading to a permanent job. Please feel free to contact us by email info [et] jobin.pk. Monday - Friday: 8am - 6pm.